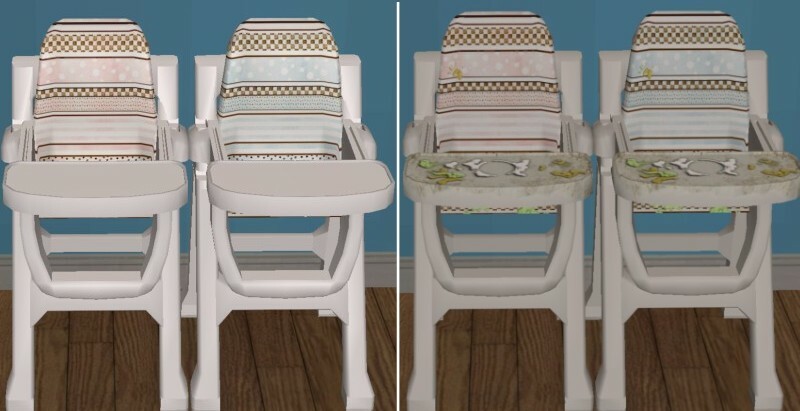 I received a request for a nursery designed around boy and girl twins. 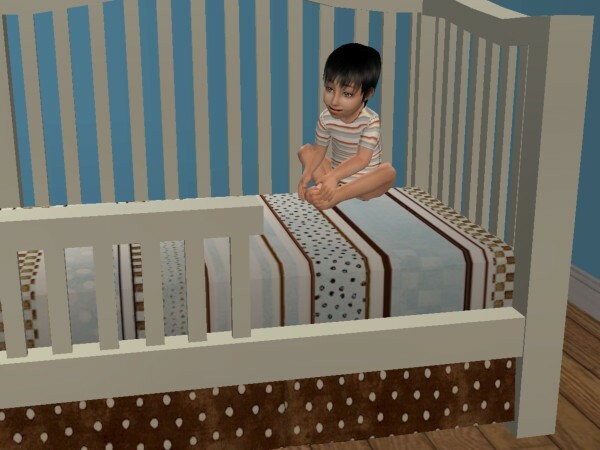 I didn't really intend on putting it on the front burner, but when I went to play my Sims, my Sim-daughter had natural twins and surprise they were boy and girl twins.. 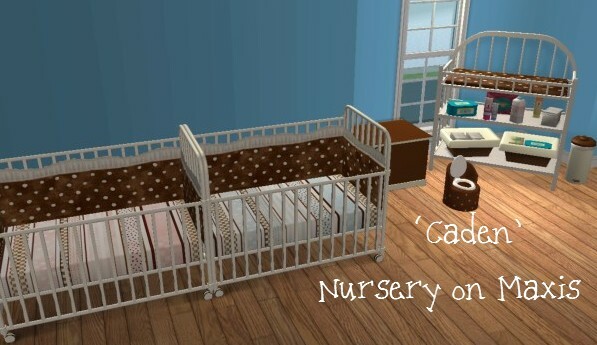 So I bring you the nursery designed for my Sim-grandbabies, Euan and Zoe, the 'Caden' Collection. The fabric used in this set is awesome. The patterns and colors are really vibrant, modern and yet classical in their own right. Leave feedback! If you don't have enough to say, at least hit Thanks =D Feedback is wonderful and I check back quite often to see what people are saying about the nursery. I love to hear how it looks in your game, if you like it or hate it, and if you have any tweaks to mention. Also, I love seeing pictures of your kiddos on my items, so if you have a link, feel free to leave it - I'll check it out ^_^ Enjoy!